Myanmar — 2checkingout | travel and adventure | Inspiring. Capturing. Experiencing. Myanmar (formerly Burma) is like no other country we have visited. The energy and kind and welcoming nature of the people is unique. Despite speaking little English, the shy and modest locals will help you tie your longyi correctly, share their snack with you or point you in the right direction of the best sunset view. All with no expectations and a big broad, often red-toothed, smile. (The betel nut chewing caused the redness and is a national pastime). The country is one of contrasts. 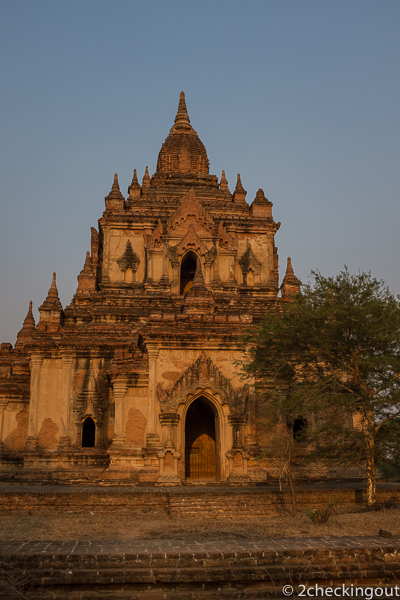 Stunningly beautiful landscapes such as Bagan, Inle Lake, and Ngapali are woven with deep poverty. Litter chokes the streets at times. It tugs on the heartstrings. But the country is changing. Tourism is increasing (3m in 2016*). Go there now to experience its incredible uniqueness before it changes too much. The Burmese New Year celebrations are a big deal. Taking place in April and lasting four days, Thingyan is also known as the water festival. Water symbolises the washing away of the previous year's bad luck and sins. Staying dry isn't an option with specially constructed hosing platforms dousing traffic and pedestrians*. Everyone wears skirts. Or rather the traditional Burmese longyi. Men, women and kids, and not just in temples. The Burmese dress modestly and you should too. It's really appreciated, and necessary for temples. Just make sure you tie it right. Men tie theirs in a knot at the front and women fold and secure to one side*. Fancy a beer? Well pucker up and make a kissing sound like you are calling a cat. Yep, that's how you get a waiter's attention. Seriously. And yes you do feel a bit weird doing it! Myanmar's trains are slow, generally not going over 20km per hour, often late and as shaky as an overloaded washing machine. But don't let the poor condition of the railway tracks put you off. Trains are a great way to see the country and immerse yourself in local life. Myanmar has a tropical climate with monsoon rains from May to October. These can make roads impassible particularly from July to September. Peak season is November to April, with November to February being the best time to visit as temperatures are more bearable. From March to May temperatures can soar above 40°C (86°F), particularly in Bagan and Mandalay. Generally though it is warm and humid year-round. During Thingyan New Year Festival (April) the locals hightail it to the coast or other tourist spots. So book accommodation and transport early and expect Yangon to virtually close down. The Ananda Pagoda Festival (Bagan, January) and the Waso Moon Festival (July) may also be of interest to visitors.